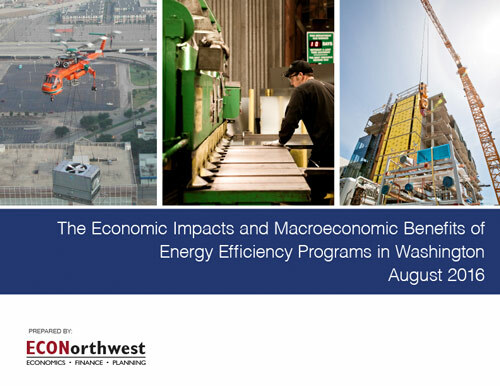 Following an earlier ECONorthwest study released in late 2014, NEEC announces the availability of newly updated results on the macroeconomic benefits of energy efficiency investments in the states of Washington and Oregon. Respected economics consulting firm ECONorthwest used two sophisticated economic models to quantify both the short term and longer term impacts of energy efficiency investments in these two Northwest states. The analysis concludes that net job creation effects are 3,800 and 2,400 for Washington and Oregon respectively. This newly released report update also shows the results of a macroeconomic model that looks at the effects from energy efficiency across the broader economies of both states. 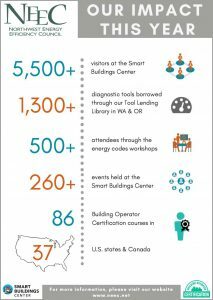 The analysis quantifies the additional growth in state GDP, exports, and jobs that occur when energy efficiency animates the local economy. Both NEEC commisioned reports are available here for free download.